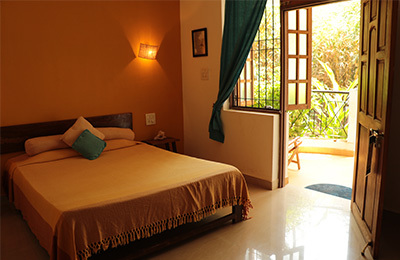 Ashwem Surf Resort - Mandrem, Goa Opiniao geral de hospedes: ☆☆☆☆☆ 0 Com base em 0 Comentarios . The resort is located on the North side of the beautiful Ashwem Beach in North Goa, India, within walking distance of a number of restaurants, grocery store, convenient stores all just minutes from our place. All rooms come with their own private bathroom, a queen size bed, fans, free wifi. Beautiful common areas like our rooftop lounge and gallery space with the most amazing view of the beach perfect for sunset chilling. Own surf shop and water sports school where we teach and offer rentals in Surfing, Kitesurfing, Stand Up Paddleboarding, Wakeboarding, and Kayaking.